I want to dramatically draw back the curtain. Something in lush purple or black velvet or a dramatic red theatre curtain. Something impressive! I want a drum-roll. Something by Animal, perhaps. This is big news. Momentous news! Draw back the curtains and hit the drums! My first house. My only house. I never thought I’d be able to own a house but I got lucky with a huge down payment and a local mortgage. My payments are actually cheaper than my rent has been in the last ten years. I turned 54 in April. I bought my first (and only) house in May. Yes, it was as quick as all that. I needed to be closer to my family and where I was just wasn’t working out for anybody. So I jumped in with both feet and my eyes wide upon. I don’t usually do thing this quickly. I’m a plodder and a planner. It took two years from deciding to go back to school to my first university class. It took me six weeks to get and move from my last job. Most people would have done it in a month – I needed a little more time than that and coincidentally ended up paying two August rents. Not the best plan but it was what I needed! I decided to move half-way across the province in April, looked at properties Easter weekend and made an offer the Tuesday after Easter. My offer was accepted by Thursday and two weeks later, after all the paperwork was completed, I owned a house. I started packing the beginning of May and was moved out by the end of May. The possession date on my house was Monday, June 2nd. Thankfully I had family nearby (finally) that I could crash with. So, moved out Saturday, stored my stuff in the moving van until Monday and unloaded Monday evening. Thankfully, I had the next week to unpack and organize. I have a house. It’s a very nice house. It has character. It’s an older house. It was built in 1952 and probably added on since then. I can see the bones and think I’ve figured out where the house was added on to. It’s a little too big for just me. it has three bedrooms – one is now a study – and a partially finished basement that I will seldom use. The basement has no furniture in it right now but it does have a cold room for all the vegetables I haven’t planted yet and all the canning I’ll probably never do! 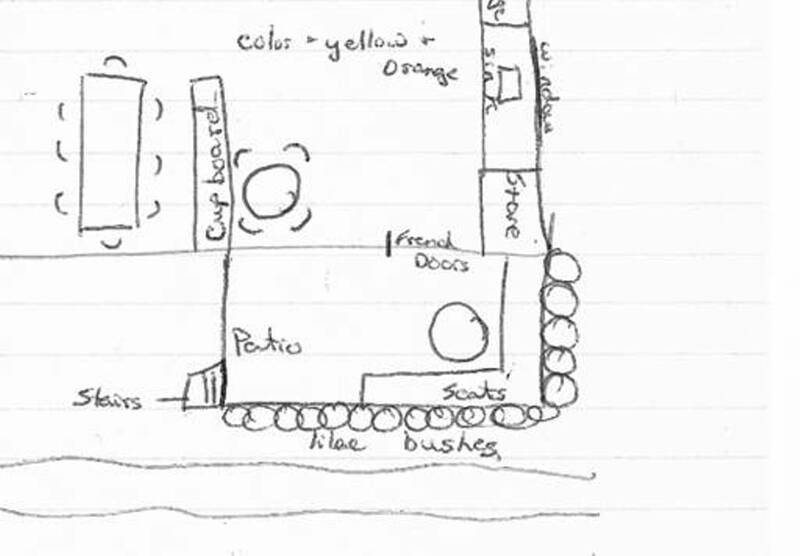 The house is only slightly older than me and the irony is that much of it has the features I wanted when I drew the floor plan above as part of a college class in 1981! Okay, it’s not surrounded by forest or ocean and the room colours, right now, are very muted. But I can paint if I want (though I’ll probably past the point of wanting an orange and black study). But there are lilac bushes and a deck for sitting on. It is a writer’s house. It is my house. 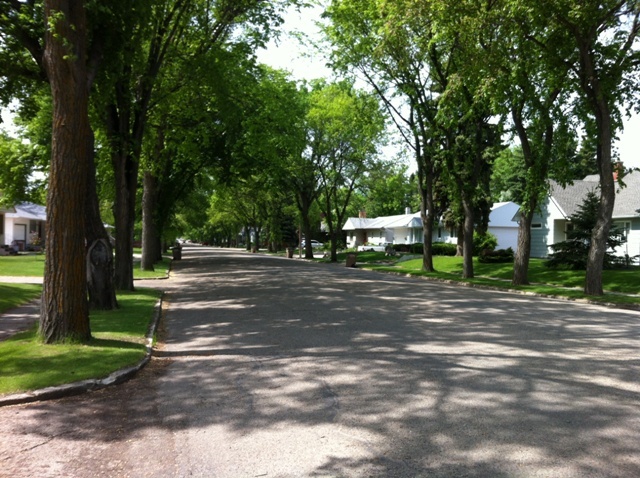 It sits on a well-treed street in a small city close to family. I can spoil the great-nieces and nephews. I can enjoy my sister’s dog without feeling the urge to get one of my own. I can have a cat (or two, or three – see the plans above – count the cats). 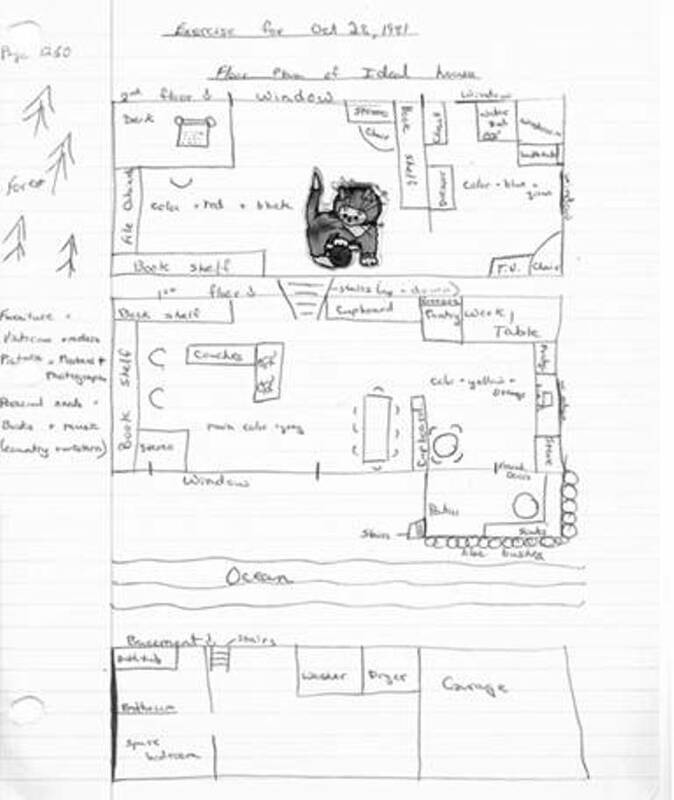 Notice how old the plans are. Notice the typewriter on the desk. Now I have a lap top computer and a roll top desk but no cats (yet). This is the dream that keeps coming back. A place to write. Time to write. A room of my own! Notice the abundance of lilac bushes. I wait every year for the lilacs to bloom in the early Spring. They are my favourite flower and they bloom for such a short period of time every Spring. Now, I will have my own lilacs. I will not have to search every new city for glimpses of lilacs. You shall know them by their scent. 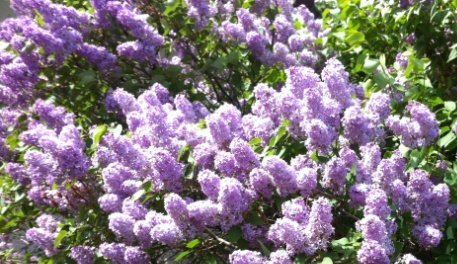 This year, there is an over-abundance of lilacs. I got to see them bloom in my old place and then got to see them bloom again (I am further north now) at my new home. My major challenge now is the outdoor space. I’ve never had to worry about outdoor space before. OMG I have a lawn and flowerbeds and a garden space and way too many weeds. This year, I will hire out but next year (maybe) I will learn to garden though I doubt I will every love to garden. I am not an outdoor person. My eldest sister has already coveted a plant and admonished me about the weeds. She’d rather spent her time outdoors. She, like our mother, loves to garden. I am not an outdoor person. My insides, my house, my home is – after one week – organized and homey. You might think I’ve been here forever as long as you don’t examine the outside too closely. Now that I’m all unpacked it seems like it’s real. I own a house. I have a home. For Fathers Day – here is a link to his birthday post that I wrote in March.